Java 8 introduces for each loop. before that lest see an example of how normal java for each loop. 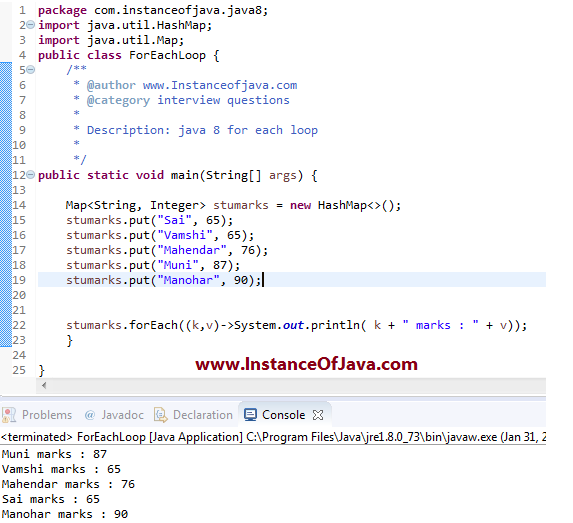 #1: Java Example program which explain use of for each loop. In the above program we used for each loop to get key value pairs of map.